* What is most surprising to you about the story of Joseph? Why do you think God chose to risk to come to us in this way? * Are you ready to welcome the Son of God? What do you need during this last week to be really ready in mind and heart? * The angel told Joseph to give Mary’s son the name Jesus, which means “the Lord saves”. What did this name tell about his life? 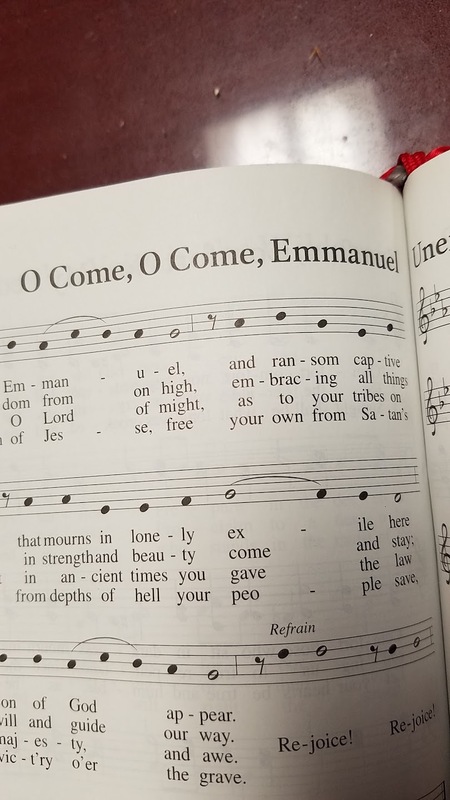 * Another title for Jesus is “Emmanuel” which means “God with us”. How have you experienced God as “with you” in your life lately? For the Week: Stir up your power, O Lord, and come. Throughout the Day: O come, O come, Emmanuel. A Blessing to Share: Grace to you and peace from God our Father and the Lord Jesus Christ. For mealtime say responsively: Let your face shine upon us: We shall be saved. Isaiah tells us the Messiah will be named Emmanuel which means "God with us." Does your name have a special meaning? How is the Church a sign that Jesus is with us today? How are you, regardless of what your name means, a sign that Jesus is with us? Conclude with your own Advent prayer. Read Isaiah 7:10-16. Today we shall be lighting the candle of love. No other word so completely describes what we know of our God. For God so loved the world that a child was given. We light the candle of love to proclaim that God's love is revealed in the Child born in Bethlehem. Light four candles. Gloria Dei serves Free Lunch this Friday on the day before Christmas Eve. What a great way to celebrate the One who came to bring good news to the poor! Please come to help anytime between 11 am and 1:30 pm. At 1105 S. Gilbert Court.